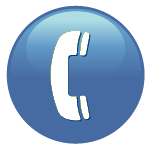 Our phone plans provide clear and uninterrupted service. Come hear the difference by calling us at 888.837.6400 to sign up or click the sign up buttons to request service via email. We look forward to talking with you!